Is it time for a move to or from Hurst, Texas? 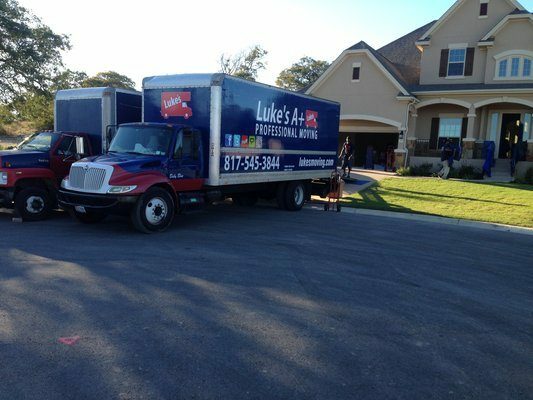 Luke’s A+ Moving Services offers the best of both large-scale movers and small family-owned movers Hurst has to offer. If you’re looking for experience and quality for your next move, trust Luke’s A+ Movers. None of our local competitors can match our large moving capacity and we do the job more carefully as well. 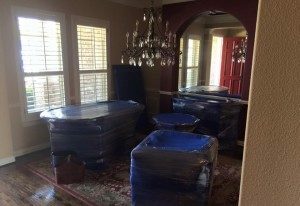 We’ve been moving people in the Dallas Fort Worth Metro Area for years and have all the experience you need in a Hurst moving company. We serve all of Hurst including 76022, 76053, 76054 and 76180. Our movers are friendly, professional, and experienced. We treat your items with care and ensure they get from one spot to another in pristine condition. We’ve worked hard to earn our customers’ trust, and you’ll notice the difference when work with us on your Hurst, Texas, move. Contact our full-service moving company in Hurst, Texas, to prepare for the best Hurst moving experience ever! Our method of moving is guaranteed to keep your precious belongings safe all the way. We ensure your furniture, walls, and doorways are never damaged in the process, giving you extra peace of mind. We prevent damage to new floors, walls, and banisters by laying down runners. We’ll even unpack everything for you for a low extra cost. And don’t worry if you’d like to pack things yourself; we have affordable packing supplies that we’ll even deliver for free! Hurst has just over 37,000 people and is just 24 miles from downtown Dallas. There are great schools in this affluent suburb, making it a wonderful place for families to settle down. And you’re also close enough to Dallas so there’s always something to do. The Hurst North East Mall is a great place to hang out on the weekend. It has lots of great shopping options and fancy restaurants. Chisholm Park is another spot to wile away your days biking, rollerblading, or just strolling.